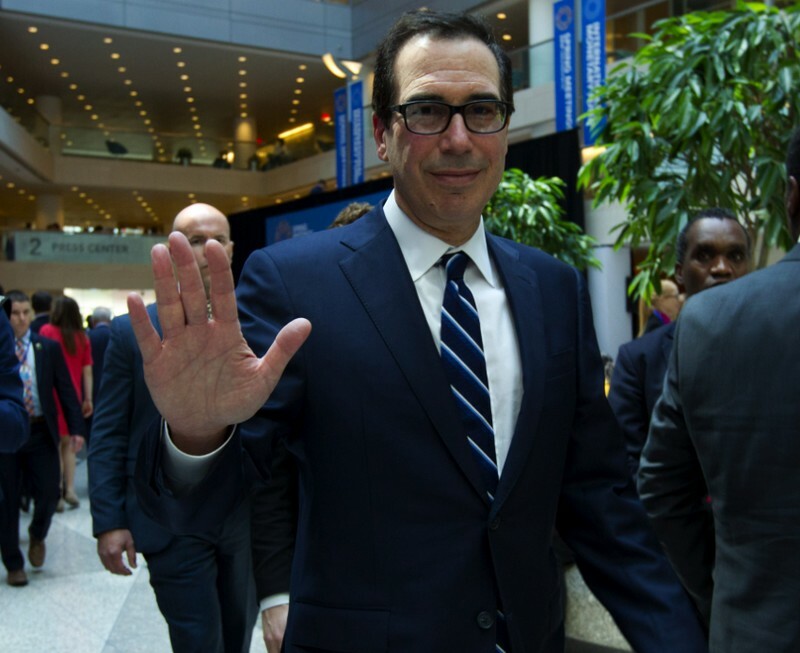 While there is no deadline for ending the protracted trade war with China, US Treasury Secretary Steven Mnuchin said the talks are nearing their conclusion, a fresh signal of progress. The IMF predicted that the slowing world economy should begin to rebound in the latter part of the year - provided that the world's top two economies resolve their differences. In a final statement from the meetings at the weekend, the IMF's steering committee, which represents' the organization's 189 members, recognized the need to "resolve trade tensions" and support reforms of the World Trade Organization that have been demanded by the United States. In the meantime, Washington last week rattled European Union nations by threatening a new set of tariffs in retaliation for subsidies to aviation firm Airbus while separately prepare for new trade talks with Japan. Mnuchin reiterated that US President Donald Trump wants his team to focus more on a good deal with Beijing rather than on a quick one. "It is more important to get it right than have an arbitrary date," Mnuchin said. But "I'm hopeful we're getting close to the final round of concluding issues." Mnuchin said officials in Washington and Beijing held a round of telephone talks early this month, with more planned for this week, and are discussing whether further in-person meetings are required. A sticking point in the talks has been American officials' insistence that any final agreement have teeth - and that they retain the ability to impose fresh tariffs should Beijing backslide on its commitments. "There are certain commitments the United States is making in this agreement and there are certain commitments that China is making," Mnuchin said. "And I would expect that the enforcement mechanism works in both directions.